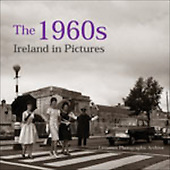 Our photographic novel depicting Irish life in the 1960's is a fascinating insight into what it was to live in and visit Ireland in the 1960's. We have historical photos of a vast range of events, covering political events and people, everyday life and businesses that came and went with the times. This book of photos makes a wonderful Christmas gift for those interested in Irish history or with a passion for quality photography.